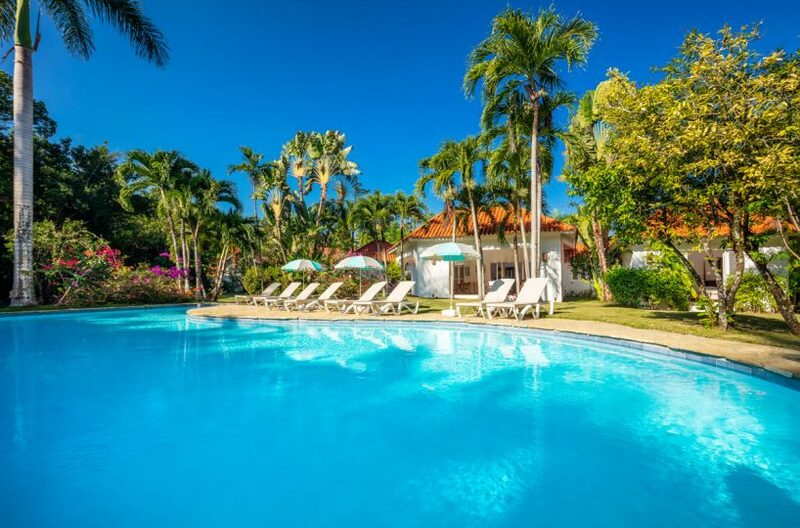 Villa Estancia is one of the most ideally located vacation villas in the Dominican Republic, on a prime corner lot in Sea Horse Ranch just a short walking distance to a private sandy beach cove, oceanfront swimming pools and The Beach Club restaurant. 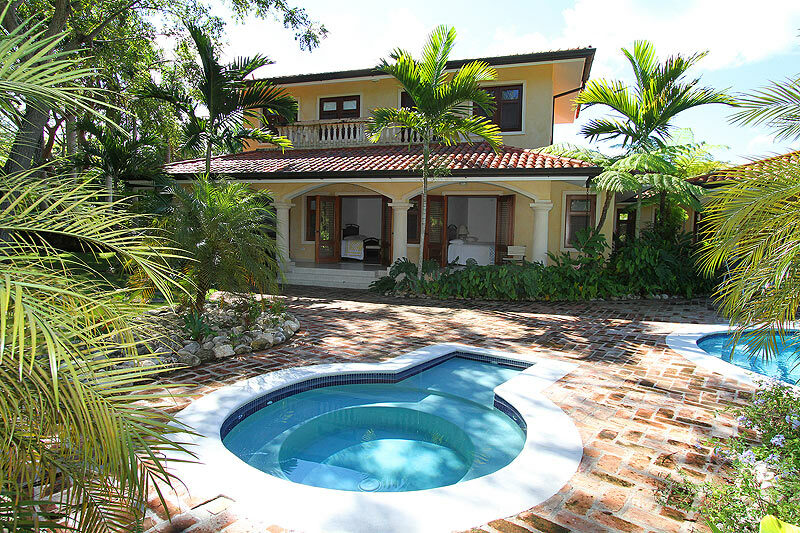 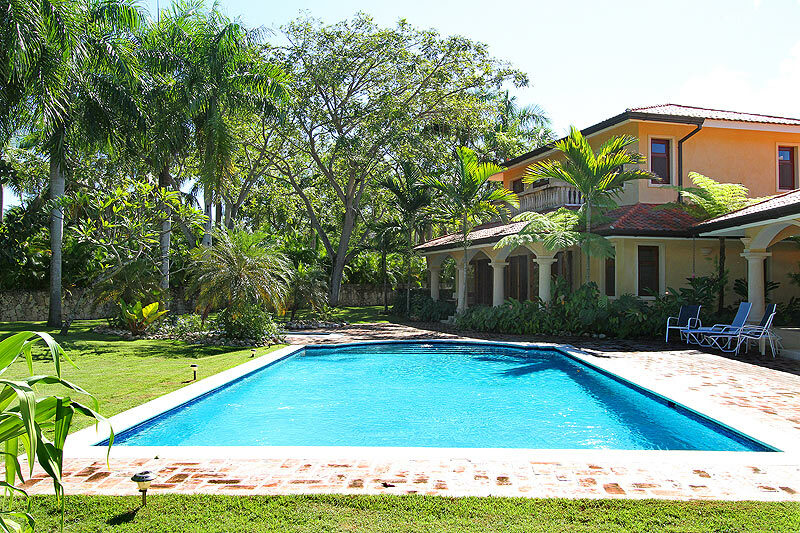 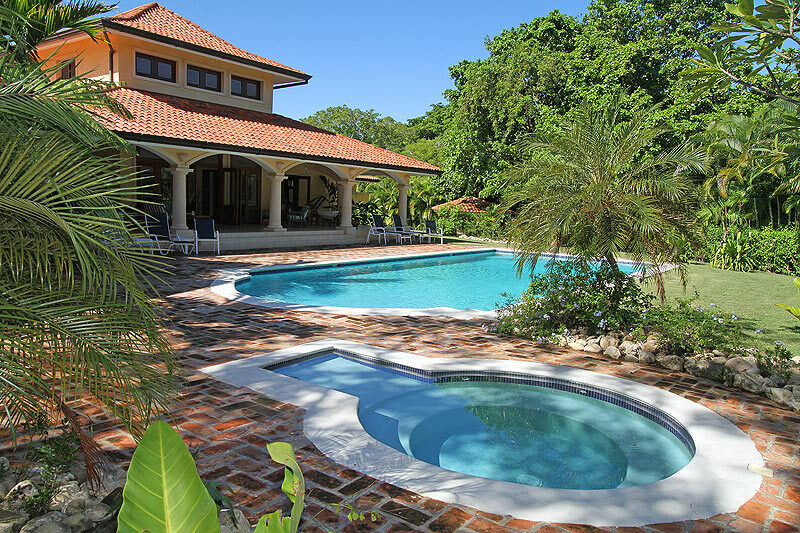 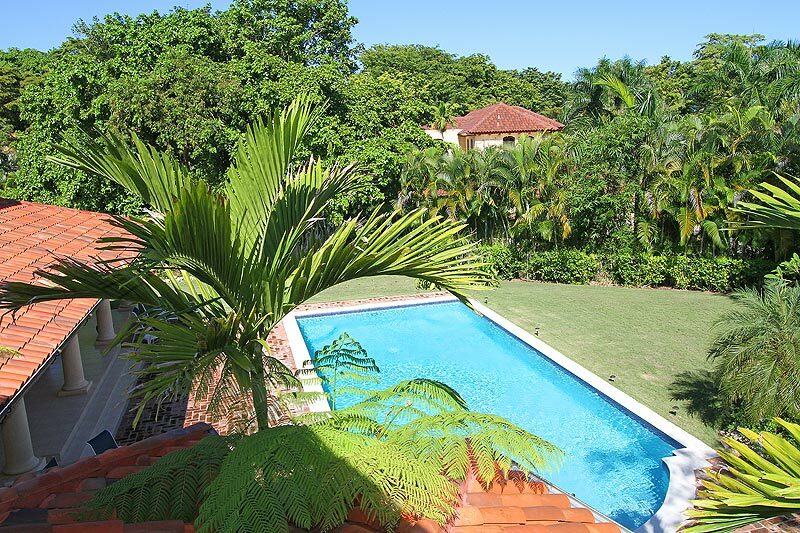 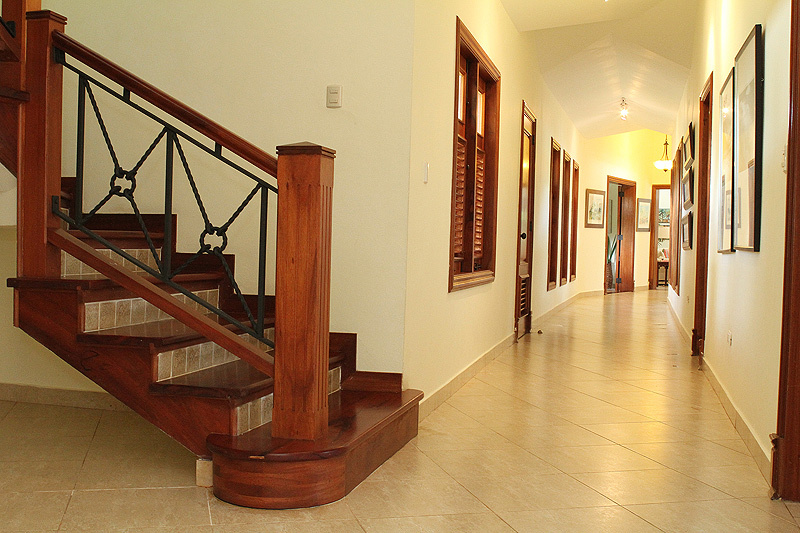 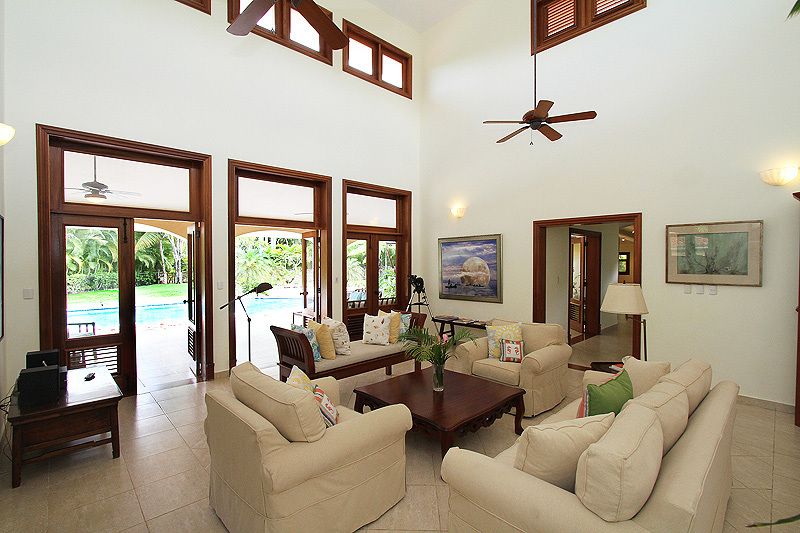 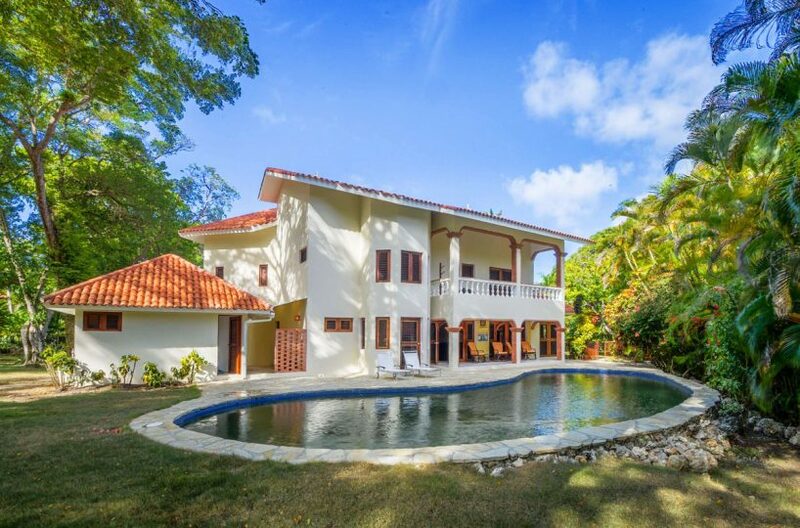 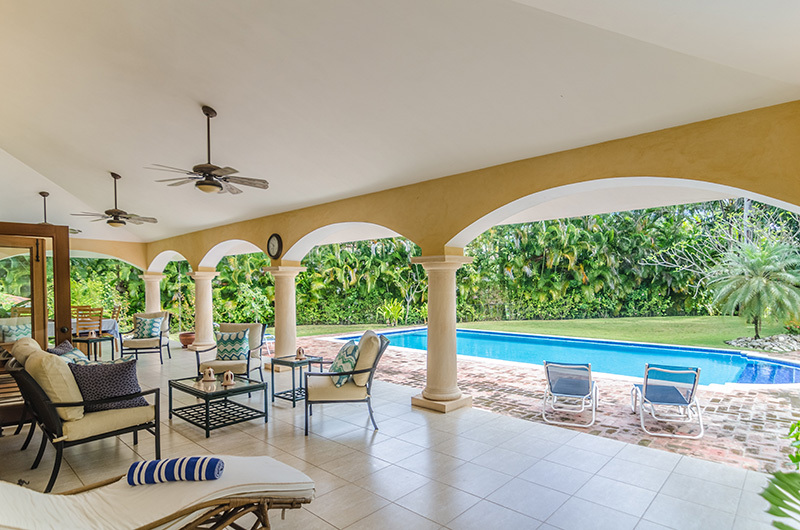 This hacienda-style villa is spacious and well-maintained, with a generous pool, Jacuzzi, and private tropical garden. 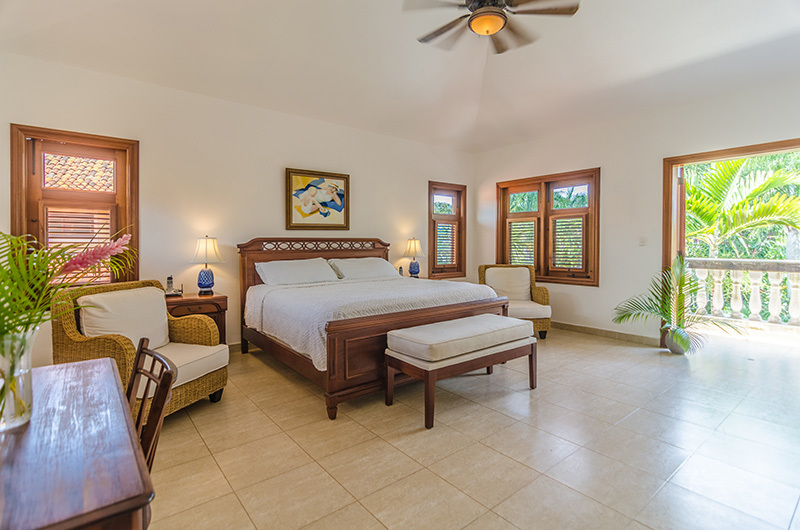 The beautiful four bedroom, four bath villa has a Master bedroom and en-suite bath upstairs for guests to enjoy as a private sanctuary apart from the remainder of the home. 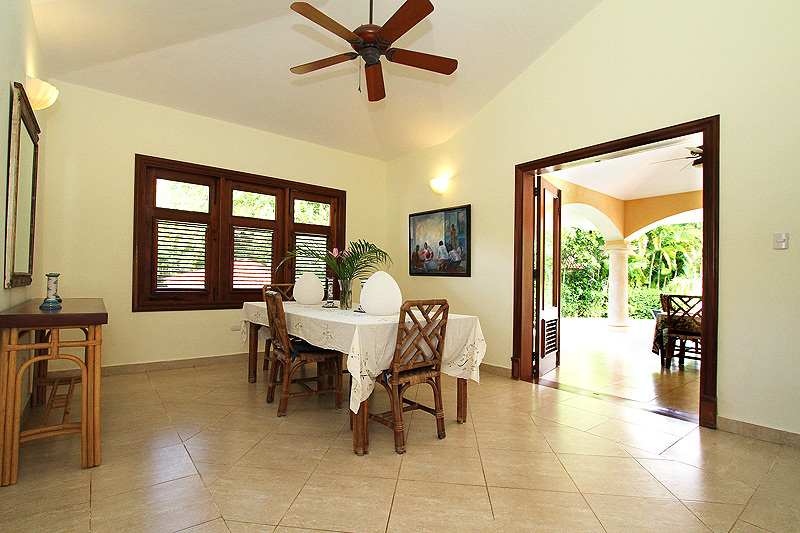 All three guest bedrooms on the main floor open to a covered terrace, swimming pool and lawn. 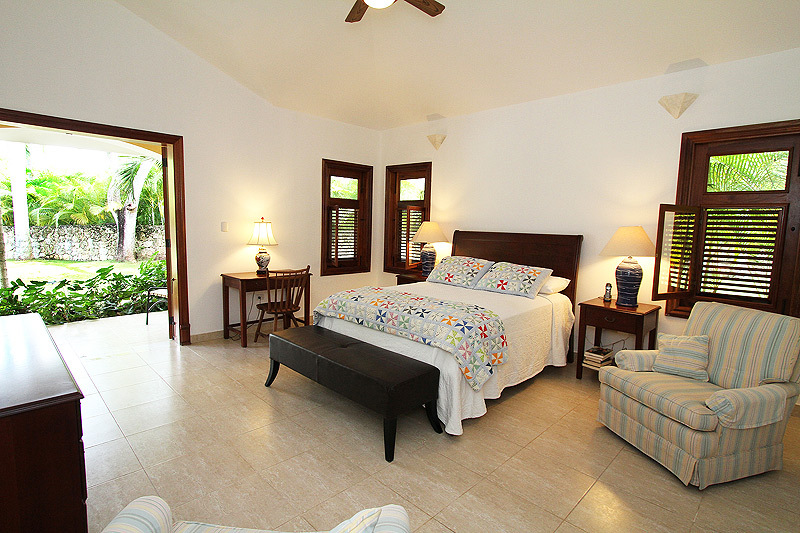 Two of the downstairs bedrooms share a spacious Jack and Jill bathroom. 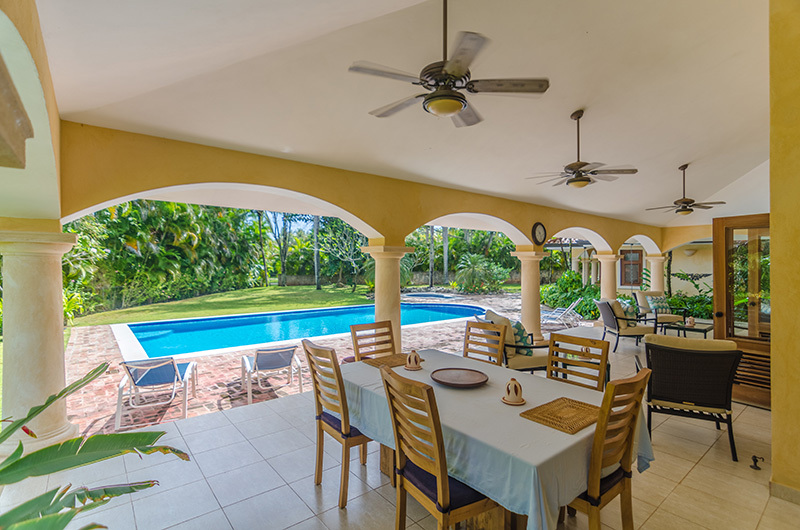 A modern, expansive kitchen is well-equipped for the resident chef, and an open-floor plan for the living area allows for indoor-outdoor dining, entertaining and refreshing tropical breezes. 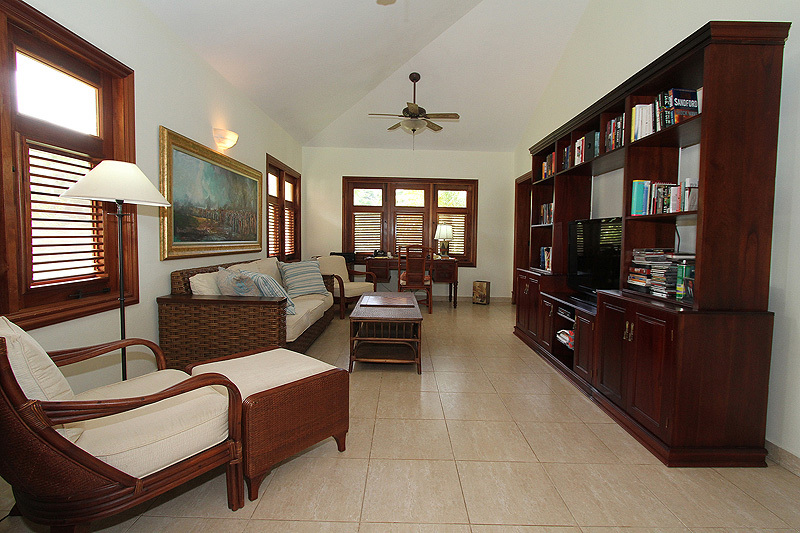 A separate media room/den off of the main living space provides an ideal location for the home office or entertainment center. 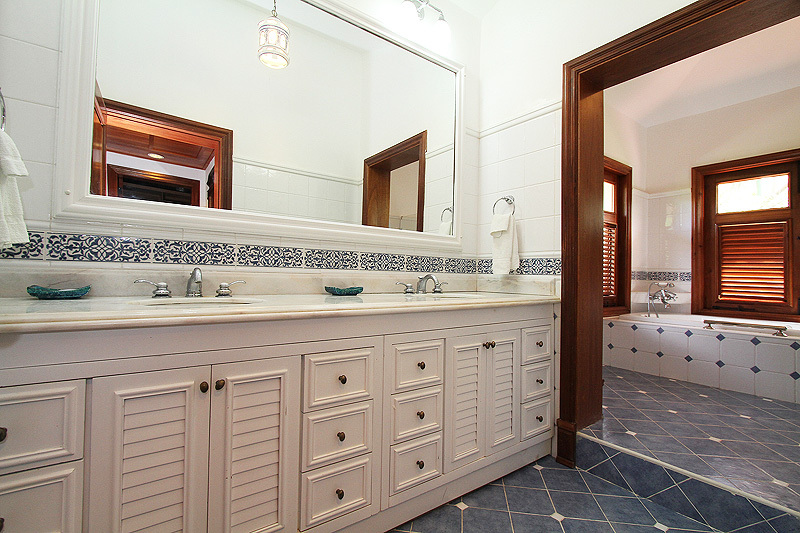 An adjacent guest bathroom is accessible from the foyer. 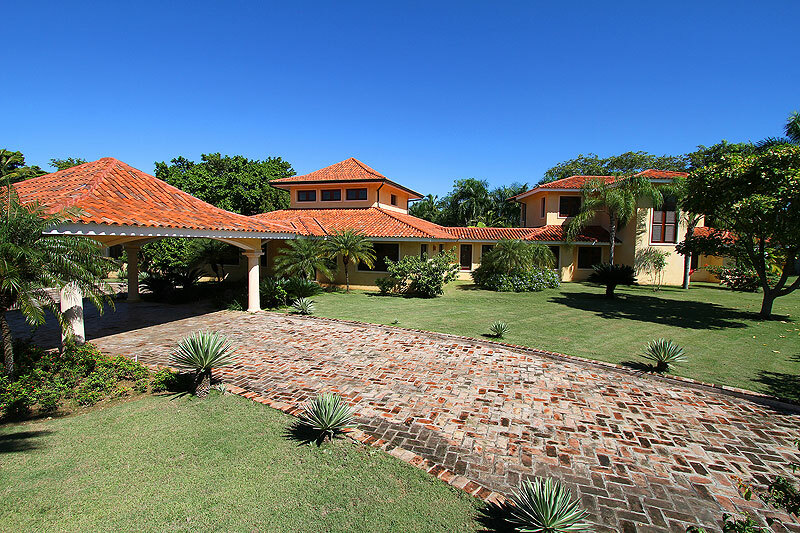 The lawn features greenery and flowering trees, with a gate that accesses the nearby walkways. 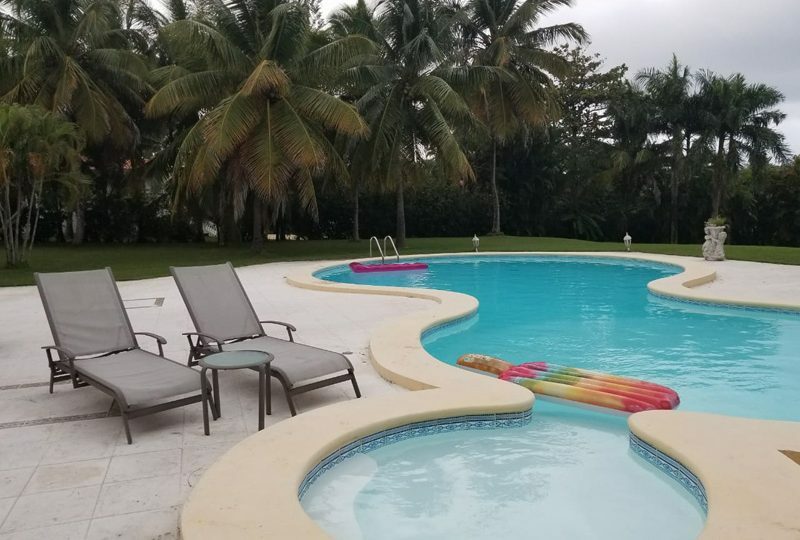 Enjoy being in such close proximity to the fine amenities of Sea Horse Ranch such as The Beach Club, ocean, swimming pools, and El Bosque Nature Preserve. 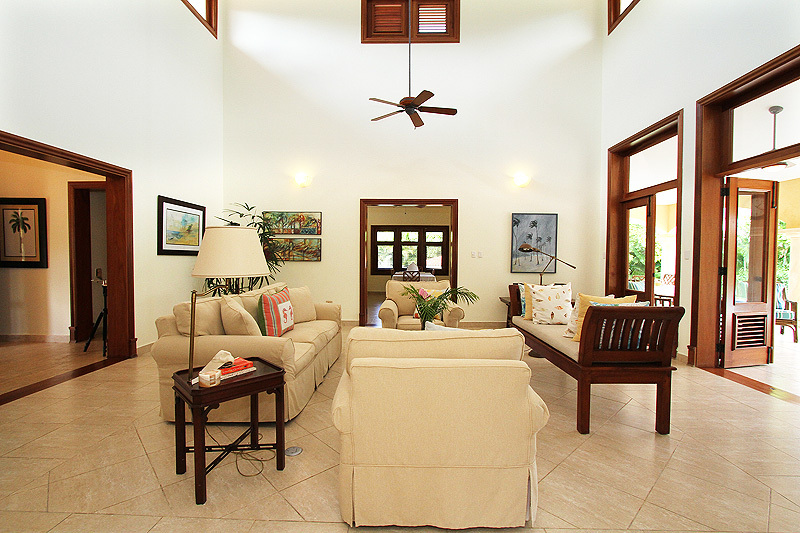 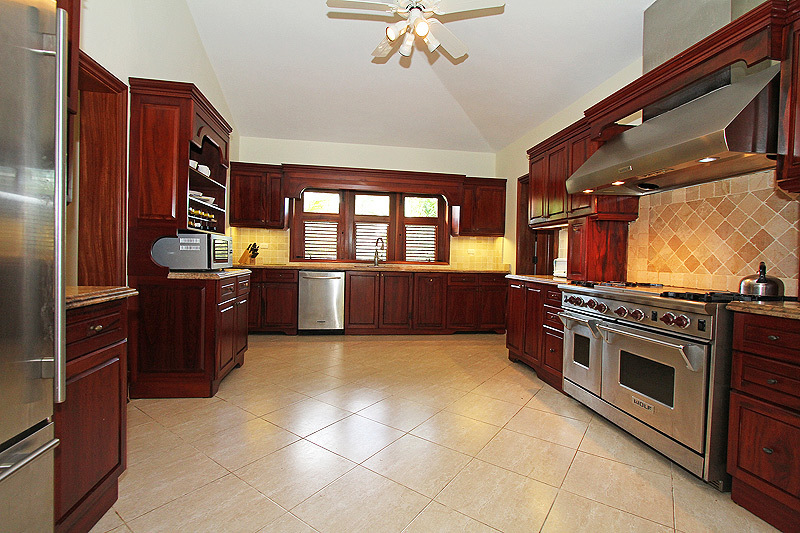 This spacious villa is ideal for a destination family vacation, and has superb rental potential. 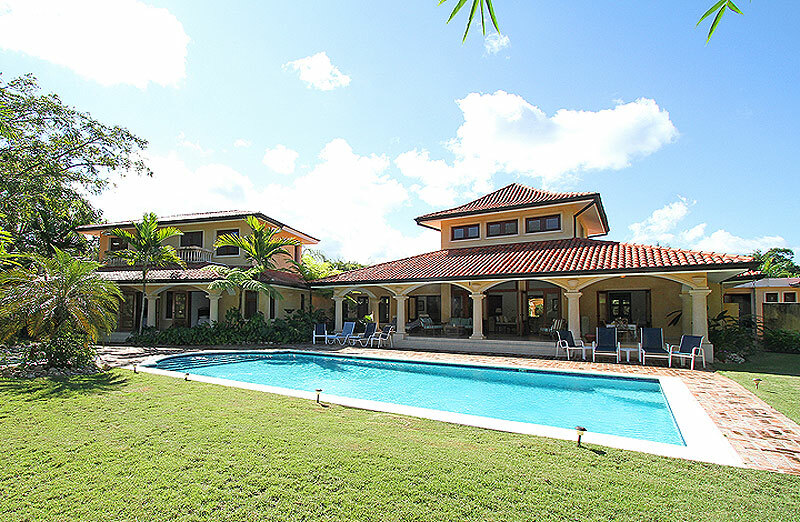 Contact us today to learn more about Villa Estancia.